You Have To Try These Pods! While vape pens are suppose to be an alternative to smoking and help people get over smoking tobacco and other drugs. Some people eventually give up on vapes due to a hurdle they might come across involving prices or just the complexity of building a mod. For some people they decided they have had enough and go back to easy tobacco smoking. This is very bad for people wanting to quit and Pod systems help to reduce the amount of people leaving vapes for traditional smoking. They are an alternative to cheap vape pens and the really expensive mods. Essentially creating a middle ground between them for vapers or people wanting to break the habit of smoking. The design can be compared to a catomizer but can take more power and hold more liquid. These pods are equipped with JUUL replacement pods that already have the coil, juice and wick already in place ready for you to use. These devices have a much stronger battery about 300MAh over the normal vape batteries of 180mAh. The best part about these pods is that they are relatively cheap for about £25 you get to try the high end premium vape experience from more expensive mods. These Pod systems have nicotine salts which allow higher concentrations of nicotine meaning you can get a much bigger nicotine shot then normal cheap Vapes/Mods. These pods are much easier to use over normal mods and these pod systems are filled with higher quality E-juices meaning the experience is much more pleasent overall. The vapour is much bigger and the clouds look higher end than the clouds from normal mods and this is due to the pre-built power of these Pod Systems. Instead of pressing a burn button or on button you would find on a normal vape pen you can activate these pod systems from just your breathe. They will pick up your breath through a sensor and they start to make the vapour when it turns on. Not massive in terms of improving the activation but it is cooler and maybe if your hands are full this kind of system is better. 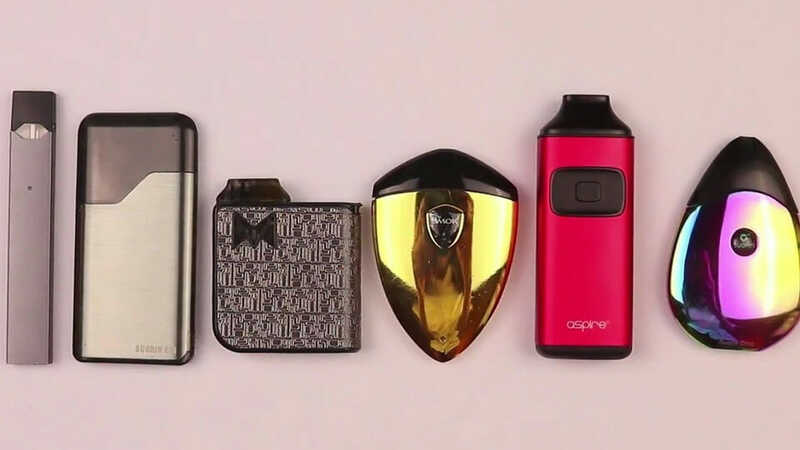 The tank is a much smaller and thinnest pod has less than 1 ml of tank space while the larger systems allow up to 2 ml,Which is about 2 packets of cigarettes worth. Even though the pod systems do have a bigger battery, they use more power and while a full charge will only give about 3 hours of battery life on a good day you will get much more battery power out of a normal mod instead of a pod. So thats all you need to know about Pod systems. Go ahead and try one as they are a nice cheap experiment for you. 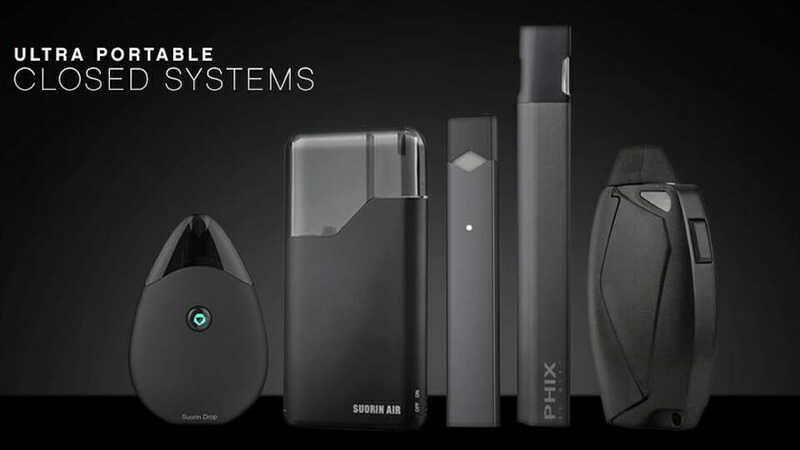 Very true write up about the pod systems….I totally agree,if you want to give up smoking,spend what you would spend in a month on cigarettes,on a decent Starter kit.I also recommend the nicotine salt,as it hits your body much quicker than normal nicotine,delivering a bigger hit of nicotine,much quicker.